Choose from a selection of 5 holiday rentals in Habo S. Use the search form to the left to filter the results and pick your choice of self catering accommodation in Habo S.
We have a good selection of holiday apartments in Habo S perfect for family, single, romantic and group holidays. You may prefer to take a look at our listed holiday villas in Habo S or holiday apartments in Habo S. Find your holiday homes by a specific type using the property type drop down in the filter. Filter the holiday homes in Habo S by a specific area using the area list above. The red house with its white lattice windows located just outside of Habo in Småland. Here you can experience the beautiful nature and enjoy a quiet location. This holiday home is located so close to the lake that you have to just get off your bed and walk a few steps to swim. This holiday house with stunning views of the lake Stråken is located in Nöhe of Mullsjö, situated in the north of Småland. 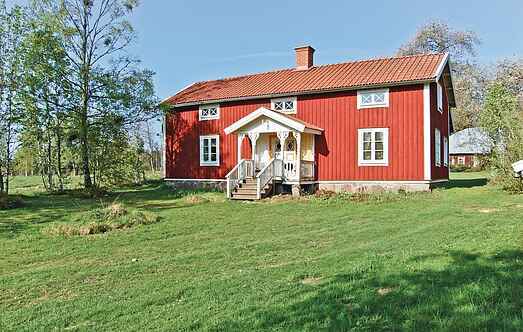 This cosy wooden house which is idyllically situated on a farm is located about 20 km north-west of Jönköping. Sheep, cows and horses graze on the surrounding pastures of the house.